Above: Several hundred refugees launched westward under cloak of darkness from a Turkish beach on March 15, 2016. 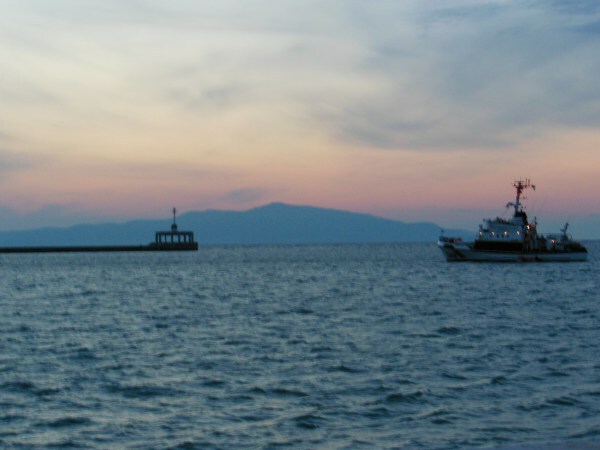 They were picked up by this ship before sunrise and delivered safely to this dock on the Greek island of Lesbos. In June and July 2017, students traveled to Athens and the island of Lesbos, notebooks and cameras in hand, to serve as eyewitnesses at a pivotal moment in world affairs. Their challenging assignment: Produce a compelling and rigorous first rough draft of history. Follow this site and #PUGreece in your social media, and join us on our journey along the border between Europe and Asia, modern and ancient, affluent and wanting, Christian and Muslim. We call it the Borderland. This course is co-sponsored by the Council of the Humanities, which is home to the Ferris Seminars in Journalism, and by the Seeger Center for Hellenic Studies, with the support of the Paul Sarbanes ’54 Fund for Hellenism and Public Service.